How do you pick which is the most beautiful? It’s time to update and relaunch www.TheRelaxationSpot.com (In process) and that means new massage photos. I never get tired of taking photos of or seeing beautiful vistas in Costa Rica. And I see them a lot! I realize this is an odd dilemma to have. In Costa Rica, it’s reality. 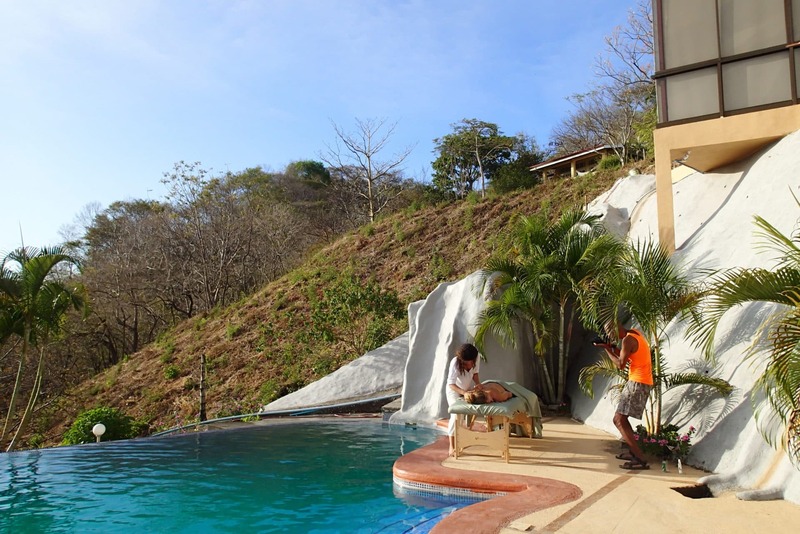 Especially in this lovely Guanacaste town of Samara. This life has always been my dream…. This was/is my dream. Massaging in beautiful Relaxation Spots around the world. Now I massage in paradise. 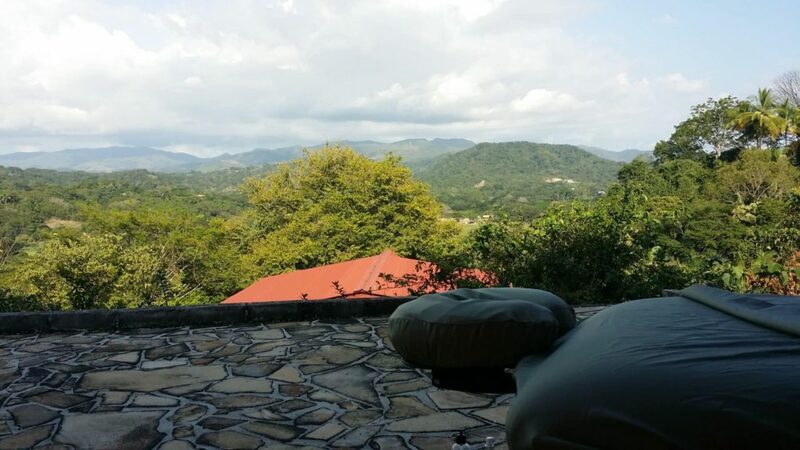 Although massage seems to take my clients away to their own internal paradise…when you are physically in paradise there seems to be less barriers to that journey. My clients primarily are vacationing in Samara and Carrillo, Costa Rica….Brilliant choice….They have brilliantly decided to rent vacation homes to enjoy a relaxing vacation with friends and family and to top it off.. My Clients LOVE massage and they ever so brilliantly schedule massages at their vacation rental or villa as the perfect addition to help unwind from the stresses and enjoy Pura Vida in Costa Rica. I suppose when picking where to vacation you’d have a similar problem. Which beautiful vista will I pick? 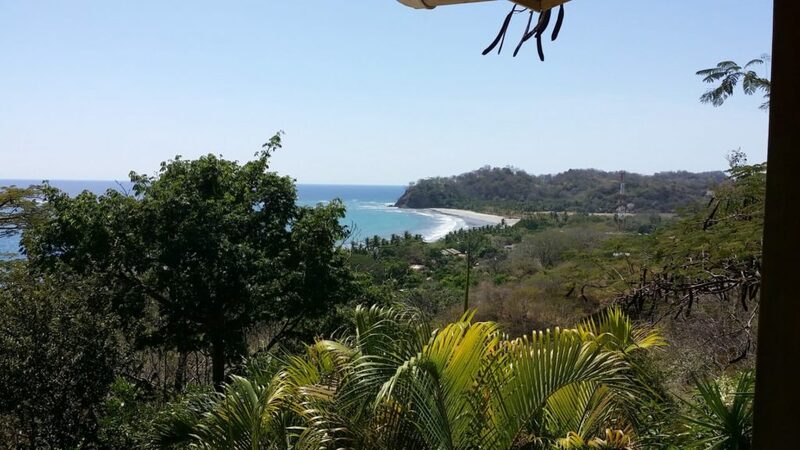 A rental overlooking beautiful Carrillo, one of the top beaches in Costa Rica and possibly the world. 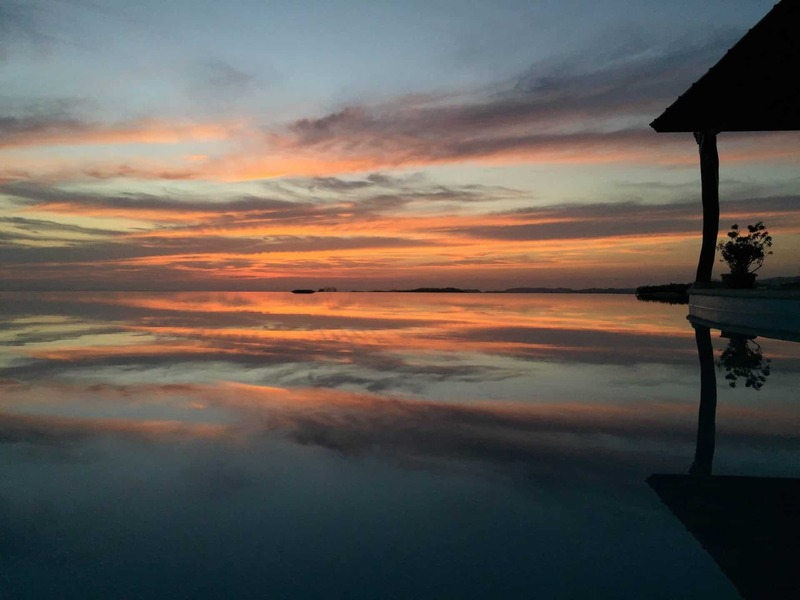 Las Ventanas also has an amazing reflective view of Carrillo Beach off their infinity pool. The photo above was taken by Las Ventanas del Mar all the other photos are mine. Directly on the beach is always and option, somewhere quiet. Congrejal side of the beach or villas playa samara. What a dilemma when you live somewhere with so many beautiful locations…you can’t decide! I had envisioned a very quick turn around for my photoshoot…however coordinating schedules became challenging and we even had to wait on mother nature for the Papagayo winds to calm down. What are they? Read more here. Visions of how humorous a massage photo shoot could be on an excessively windy day kept blowing around my head. Massage sheets strewn all around, shrieking people, my hair, oh my hair, once the winds died down my original massage model had to do a border run. Luckily when you offer massage it doesn’t take too long to find a willing recipient! I scheduled my amazing photographer, Mitch Souls of Samara Photography and my beautiful massage model Brook ; and chose a convenient location. An inviting Relaxation Spot was decided on that would allow me a beautiful view, pool shots, and would be close by for my photographer and model. I’m so blessed that a new friend welcomed us into Condos Veneto in Samara on the road to Carrillo for photographs. Mitch praised that Condos Veneto would be a lovely spot for wedding photos. He’s an amazing wedding photographer, so he should know! The moment I finally coordinated all three schedules between the location, photographer and model, finally…there was rumor of more Papagayo winds!! I willed the rumors to just be rumors, I wasn’t going to live in fear, I wanted this shoot done. I started to get a little nervous. I’ve never understood what you’re supposed to do to not look ridiculous in photos, being a model….would never cross my mind. Massage is my comfort zone, my passion, I love it, and it feels so natural on me. It’s that one area of my life where everything makes sense. So as soon as I was able to lay my hands on my massage model, my nerves were calmed. We didn’t even end up taking a close up head shot anyway. The wind cooperated, mostly, it tugged at the sheet a little but my model was not exposed. As always, that bit of worry that went through my head did no good, and served no one. I am a reformed worrier…most of the time 🙂 Life is better when I’m in it, and out of my head. 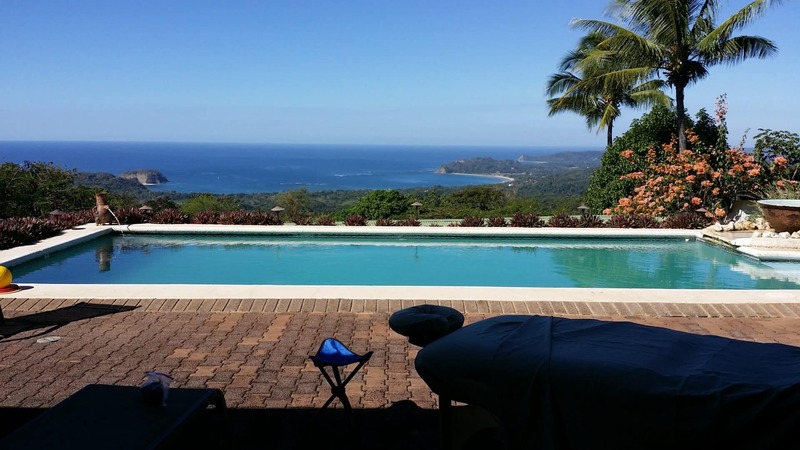 Your Massage is waiting for you in Samara, Costa Rica! Happiness Ambassador, Massage Therapist and blogger in Playa Sámara, Costa Rica. Why you need to escape to Costa Rica NOW!